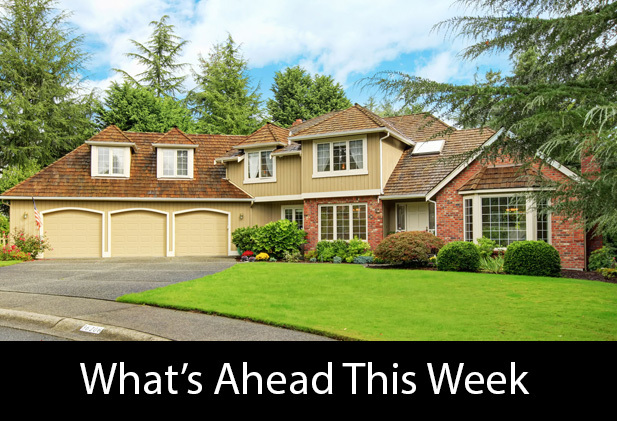 Last week’s economic reports included readings new and pending home sales, Case-Shiller housing market indices and consumer sentiment. Weekly reports on mortgage rates and first-time jobless claims were also released. Sales of new homes rose 17 percent in November for an eight-month high. Year-to-date sales of new homes were only 2.70 percent higher than for the same period in 2018.New home sales rose to 657,000 sales as compared to expectations of 563,000 sales and November’s reading of 562,000 sales. Analysts cautioned that Commerce Department readings for new home sales are prepared from a slim sampling of sales and are subject to volatility. Pending home sales slumped in December to a negative reading of -2.20 percent as compared to November’s seasonally-adjusted annual reading of -0.90 percent. Analysts said the dip was likely caused by consumer concerns over the government shutdown and potential future shutdowns. December’s reading was the twelfth consecutive negative month-to-month reading. Real estate pros and analysts cited ongoing challenges including high home prices and mortgage rates as contributing to fewer contract signings. In related news, the Federal Reserve’s Federal Open Market Committee elected not to raise the Fed’s target federal funds interest rate range, which is currently 2.25 to 2.50 percent. Domestic and global economic concerns led committee members to pause interest rate hikes. Case-Shiller reported lower home price growth in November with a year-over-year annual reading of 5.20 percent growth. Las Vegas, Nevada, Seattle Washington and Denver Colorado held the top three spots on the Case-Shiller 20-City Home Price Index. Freddie Mac reported slightly higher average mortgage rates last week; 30-year fixed mortgage rates averaged 4.46 percent and were one basis point higher than for the prior week. 15-year fixed mortgage rates averaged 3.89 percent and were also one basis point higher. The average rate for 5/1 adjustable rate mortgages was six basis points higher at 3.96 percent. Discount points averaged 0;50 percent for 30-year fixed rate mortgages and 0.40 percent for 15-year fixed rate mortgages. Discount points for 5/1 adjustable rate mortgages averaged 0.30 percent. First-time jobless claims surged last week to 253,000 new claims filed. Analysts attributed the spike in new jobless claims to seasonal quirks that were not expected to last. The four-week rolling average of new jobless claims is considered less volatile and rose by 5,000 new claims to 222,250 initial claims filed. The University of Michigan released its Consumer Sentiment Index last week; the January index reading of 91.20 was higher than the expected reading of 90.70 but was the lowest since President Trump’s election. December’s index reading was 98.30; analysts blamed the government shutdown on the sudden dip in consumer confidence. This week’s economic news includes the President’s State of the Union speech and speeches by Fed Chairman Jerome Powell. Weekly reports on mortgage rates and new jobless claims will also be released.